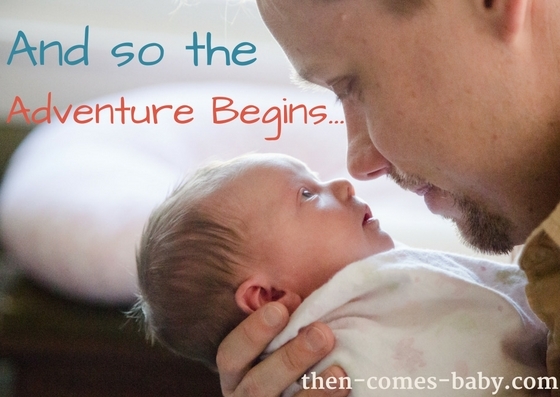 We feel so lucky to have Sean Holcombe, MFT lead our “Dads” Program at Then Comes Baby. Soon-to-be and new dads of the community can count on Sean to help both guide them and educate them through this big shift in life, with his signature direct, yet humorous, approach. Sean has a rich history of leading men’s groups in Berkeley for new dads – talents that he will now be bringing to Oakland community with a New Dads Group on first and third Wednesdays, starting in August! Sean was an early believer in Then Comes Baby, cheering us on from before we opened our doors, and has been with us since the beginning..
To learn more about our New Dads Group, check that out here. To learn more about Sean, check him out here. I just finished facilitating my Becoming a Dad class at Then Comes Baby, one of my favorite classes to teach. Sitting around with the new group of men, on the verge of one of the biggest life changes they may ever experience, I smiled hearing everyone talk about the excitement and fear they were feeling as they approach fatherhood. So many nodded their heads as they talked about being excited about sharing their lives with their soon to be born sons and daughters. So many also resonated about the anxiety about what the future will look like. Will they be ready? Have they gotten the right stuff? Will the bring with them all the positives from their own parents while leaving behind the negative from their youth? More than anything else, the feeling in the room with everyone sharing was simply: relief. The men in the room took comfort in knowing that they weren’t alone in this process, that others shared their worries, and others didn’t have everything figured out either. The Becoming a Dad class is the beginning of a lifelong journey for these men as they transform into amazing fathers. I am so happy to help create a small corner of the Then Comes Baby community where men can explore this moment in their lives, and continue this conversation in the Wednesday evening New Dad’s Group. Sean Holcombe is a Licensed Marriage and Family Therapist practicing in the East Bay. He received his degree in Clinical Psychology from Pepperdine University, focusing on children and adolescents. Sean offers a unique service in his private practice: home based family therapy. Sean also leads a series of men’s groups in Berkeley and Oakland for new dads, along with his class for expectant fathers, Becoming a Dad at Then Comes Baby in Oakland.